Following six of the steps can even cut cancer risk in half, said Laura Rasmussen-Torvik, a professor of preventive medicine at Northwestern University’s Feinberg School of Medicine. She said she and her colleagues just had a hunch that following healthy-heart guidelines would also decrease the risk of cancer. And their findings confirmed that hunch. Adhering to four of the steps in Life’s Simple 7 resulted in a 33 percent cancer risk reduction, and following six or seven led to a 51 percent cancer risk reduction, according to the study, which was published today in the journal Circulation. The American Heart Association developed the seven steps in 2010 with the goal of reducing heart attack and stroke deaths by 20 percent by 2020. Rasmussen-Torvik and her fellow researchers examined two decades of data from the Atherosclerosis Risk in Communities study, looking at the health records of 13,253 patients from 1987 to 2006. They found that the more steps patients followed, the less likely they were to develop cancer. 1. Get active — AHA recommends at least 150 minutes of exercise a week. 2. Control cholesterol — Cholesterol should be lower than 200 milligrams per deciliter. 3. Eat better — This means foods high in whole grain, fruits, vegetables and lean protein such as fish. Limiting sodium, added sugars, trans and saturated fats is also important. 4. Manage blood pressure — It should be less than 120/80. 5. Lose weight — body mass index should be below 25. 6. Reduce blood sugar — Fasting blood sugar level should be below 100, which can be achieved by avoiding soda, candy and other desserts, as well as getting exercise. The steps are cumulative, but quitting smoking was especially helpful, the researchers found. There’s also a considerable amount of overlap in the steps, considering that getting active and eating better — steps 1 and 3 — help with cholesterol, blood pressure, weight and blood sugar – steps 2, 4, 5, and 6. 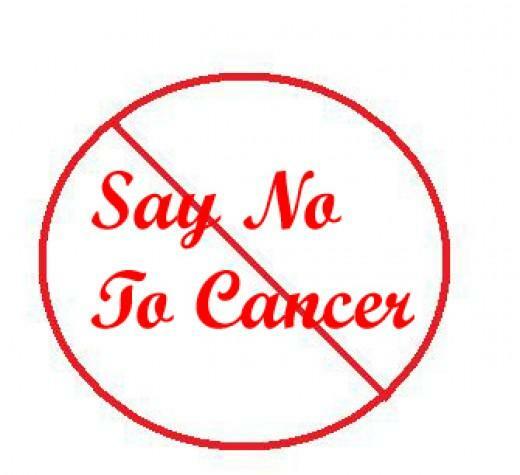 The National Cancer Institute estimated that 12.5 million people had cancer in the United States as of Jan. 1, 2009. The Centers for Disease Control and Prevention estimated that 5.7 million people had heart disease. Rasmussen-Torvik, who couldn’t say why these steps lowered cancer risk because cancer was not her area of study, said she hoped patients would be willing to follow the Simple 7 because they decrease the risk of two potentially deadly health ailments. “Any little added encouragement for people to adopt these recommendations is great,” she said.